Hello? Is this thing on? If you received this post in your inbox, you have probably forgotten all about The Lexingtonienne by now, that’s how long it’s been since I last did a post. What happened was, I suffered from a severe bout of laziness one week, then the following week everyone in my house was hit with the plague. We were sick as dogs last week, and it has been a lingering sickness that’s stubbornly kept us all below the “feeling 100%” mark even into this week. The good news is, thanks to us, Kleenex will not be going out of business any time soon. Aside from a batch of cure-all Chicken Noodle Soup (in late April – ?!? ), the kitchen has seen very little of me in the past couple of weeks. 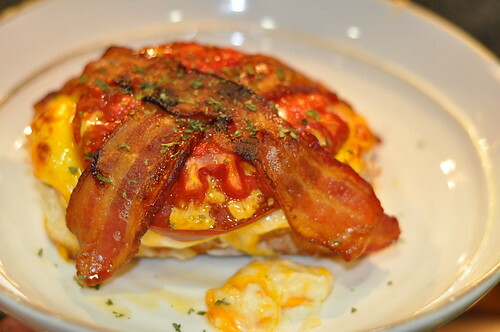 So I’m digging into the archives today to bring you a couple of great little recipes for Derby fare, since the 138th annual Run for the Roses is this Saturday. Here are some suggestions for your celebration. 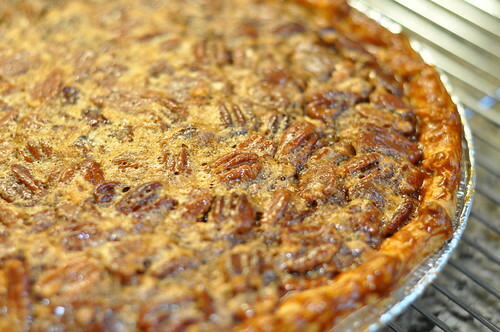 Then as a chaser there’s this ridiculously good (and surprisingly easy) Chocolate Chip Pecan Pie (pdf). Substitute some bourbon for the vanilla and you’ve essentially got yourself a Kentucky Derby Pie. Yeah buddy. And you just can’t celebrate the Derby without a little bourbon. 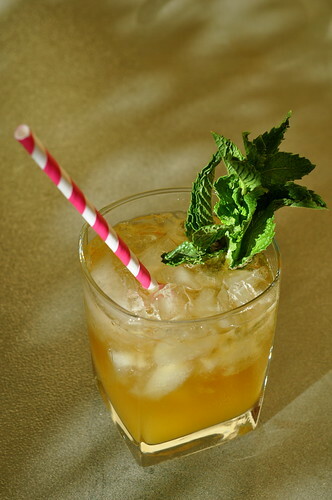 This Bourbon Peach Smash (pdf) is a pretty terrific take on the classic Mint Julep. How will YOU be celebrating the Kentucky Derby? If any of my fellow Kentuckians have recommendations on which horse to root for, share it with me in the Comments section! *Just kidding. I’m turning 32. I officially have more flavors than Baskin-Robbins. Which reminds me, if my husband is reading this, don’t forget my ice cream cake. Wishing you a really happy day, a delicious pizza and an ice cream cake that you will remember forever !!! Note on the recipe for the Bourbon Peach Smash: it’s best to use Woodford Reserve bourbon. Happy Birthday on Derby Day! Love you. You forgot Run for the Roses by Dan Fogelberg. Oh – and Woodford is ALWAYS best! Happy birthday! Oh, Pam. I just CAN’T on Run for the Roses. They used to make us sing it in school and we sounded like a choir full of wailing dogs. Haha. Thanks for the birthday wishes!